From left, Forged In Fire’s Doug Marcaida, ABS master smith J. Neilson, host Wil Willis and Dave Baker. 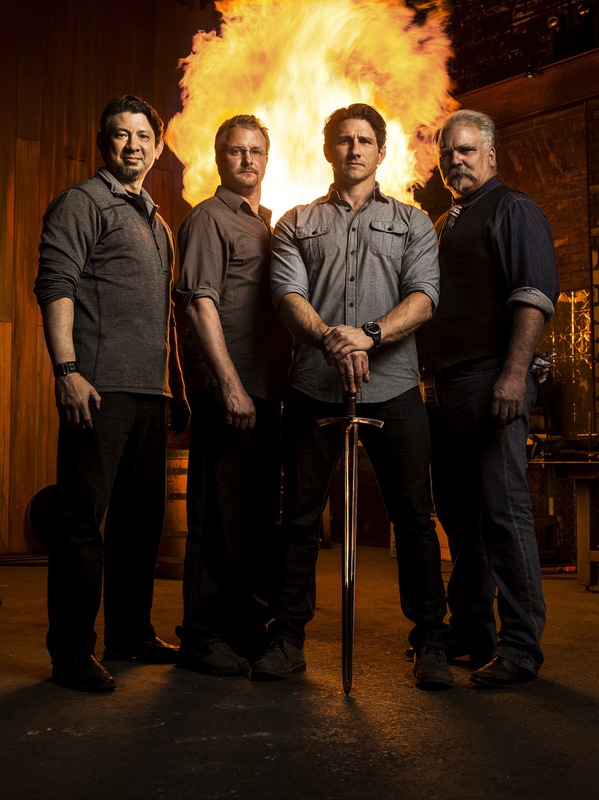 Forged In Fire, a new reality TV show pitting bladesmiths against each other in an attempt to see who can make the best knife, is attracting more viewers—1.4 million—than any knife-related media entry in history, and those numbers are climbing. After five weeks on The History Channel, FIF has gained double-digit growth across all key demographics compared to its premiere episode. According to a History Channel news release, ratings are up a whopping 74 percent in the 25-54 age group, 73 percent in the 18 to 49 age range and 32 percent in all viewers. That’s 595,000 viewers aged 25-54 and 552,000 aged 18 to 49. In all, FIF is attracting 1.4 million viewers, an unprecedented number for a knife-related media endeavor of any kind. 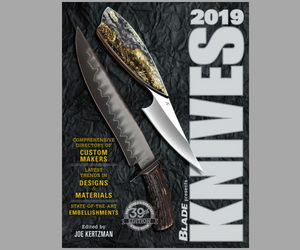 In last night’s fifth installment in the series, bladesmith Guy Harris won the $10,000 cash prize offered to the winner in each episode. He won for making what was judged the best version of an Elizabethan rapier. Hosted by Wil Willis, the show originates from a building that has been transformed into a giant forge of sorts containing a number of individual forges, grinders, power hammers, drill presses, hand tools, knifemaking materials and more. In each episode, four different bladesmiths compete against each other in a preliminary round in which they build a rough knife from materials and to specs provided by Willis and the three judges: ABS master smith J. Neilson, ancient weapons authority David Baker and martial artist/weapons authority Doug Marcaida. The four smiths are whittled down to three after the rough knife segment and to two after the finished-knife segment. The two finalists are assigned a special knife, sword, axe or other edged tool that they have five days to complete at their home forge. They then return and the judges put the resulting pieces through the cutting paces and decide which one wins the $10,000 prize.